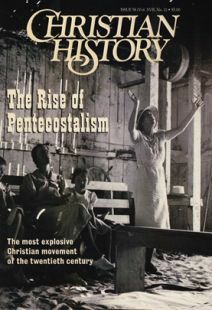 The Oneness movement pushed Pentecostals to organize. Early Pentecostals asked, Why go to war when Jesus is on his way? Few have taken the Bible more literally than George Hensley and the snake handlers. Pentecostalism’s early leaders were as varied as they were dynamic. In Pentecostalism’s early years it was not unusual to see women preaching, pastoring, and leading. A sampling of ecstatic experiences reported in different eras of church history. It’s not tongues but a different way of being a Christian.